Marc Veasey was born on January 3, 1971 in Forth Worth, Texas. After earning a BS in mass communication from Texas Wesleyan University, he worked variously as a sports writer, healthcare consultant, realtor, substitute teacher, community activist, and legislative aide (for five years) to Congressman Martin Frost of Texas. Veasey then served as a Democrat in the Texas State House of Representatives from 2005-13. Since 2013 he has represented Texas’s overwhelmingly Democratic 33rd Congressional District in the U.S. House, where he is a member of the Congressional Black Caucus. Veasey is a friend of Texas Communist Party USA member Gene Lantz, who endorsed Veasey in his 2012 run for Congress. In 2013 Veasey objected to the landmark Supreme Court ruling that struck down, as anachronistic, a Voting Rights Act provision (known as Section 4) that had required mainly Southern states to undergo—based on the presumption of their continuing racist tendencies—special federal scrutiny before being permitted to change their election laws in any way (e.g., by instituting Voter ID requirements or reconfiguring their voting districts). “There is no absolutely no doubt,” said Veasey, that Texas, on matters involving race, had not yet evolved to the point where it merited being released from the restrictions imposed by Section 4. “Many of our elected officials unfortunately still cannot be trusted to protect minority voting rights,” he explained. In February 2013, several Democrats, including First Lady Michelle Obama, brought illegal aliens as guests to President Barack Obama‘s State Of The Union speech. Veasey, for his part, brought a 32-year-old Mexican named Julieta Garibay, who had migrated with her family to Texas when she was 12.
voter ID laws are, by and large, racially motivated attempts to suppress minority voting and should be eliminated. For information on Veasey’s voting record on a range of key issues during his years in Congress, click here. 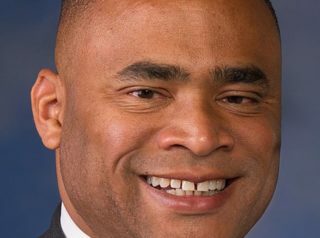 Further Reading: “Marc Veasey” (Votesmart.org, Keywiki.org); “Congressman Sues to Block Voter ID Because It Sends ‘Wrong Message About Texas’” (PJ Media, 6-28-2013); “Rep. Marc Veasey Sues State of Texas to Block Voter ID Implementation” (Houston Chronicle, 6-27-2013); “Issue Position: Immigration” (by Marc Veasey, 1-1-2012); “Democrats Bringing Illegal Immigrants As Guests to State Of The Union” (Daily Caller, 2-12-2013); “Dem Rep Veasey: There Is ‘Proof’ Trump Said Things on Tape That Are ‘Absolutely Rephensible’” (by Ian Hanchett, 8-17-2018).